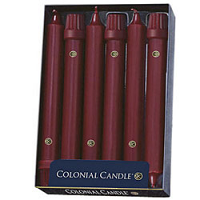 These black 10 inch classic taper candles are made by in the U.S.A. by Colonial Candle. They are a solid color the whole way through. 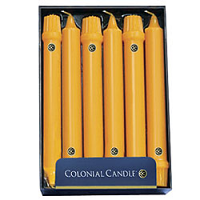 These 10 inch unscented taper candles would look beautiful included in your arrangements. 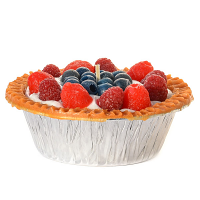 They fit into standard size taper candle holders. 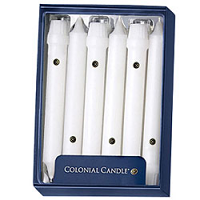 The cotton wick gives off a warm glowing light perfect for creating a romantic candle lit dinner. 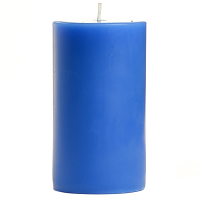 Unlike traditional taper candles, these have straight sides so they are the same width at the base as the top. 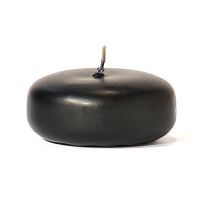 The image of black candles is to show color and shape only. 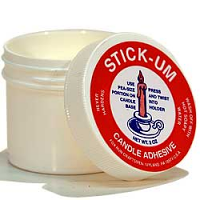 These unscented candles are sold individually. I love my new black candles. Mine were old and faded, and the new ones really gave my house a boost! 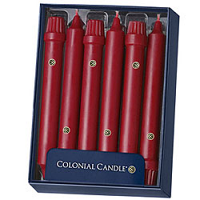 And a real bonus was that they fit perfectly in my candle sticks without any twisting or having to melt wax to make them stand up straight! 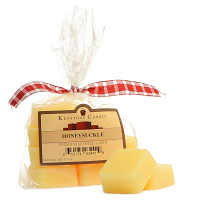 Amazing.... buy some now! 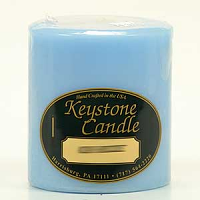 Ordered this for Christmas, beautiful candle and great cinnamon apple fragrance.